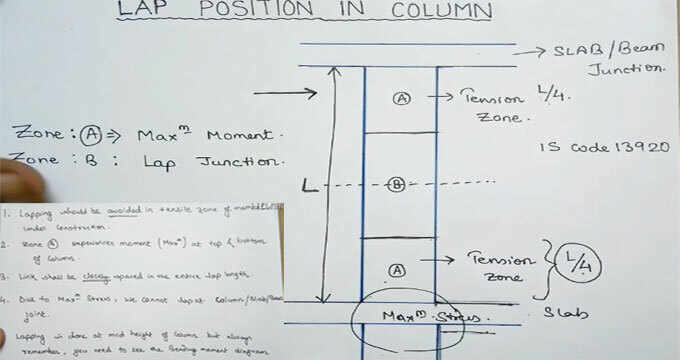 Watch the video tutorial to learn about reinforcement lapping zone in column. It teaches you how to place lap in exact position in column, adhering to IS code 13920. When two pieces of rebar are overlapping, a lap is needed to make a constant reinforced line of rebar. The lap length varies depending on the strength of the concrete, the grade of rebar, and size and spacing. IS code 13920 covers the requirements for designing and detailing of monolithic reinforced concrete buildings so as to give them adequate toughness and ductility.